It’s good to plan. It’s good to reflect. It’s best to do. Here at IISC we spend a fair amount of time supporting others in articulating what they want to achieve, including those who must be included, and defining a pathway to action. 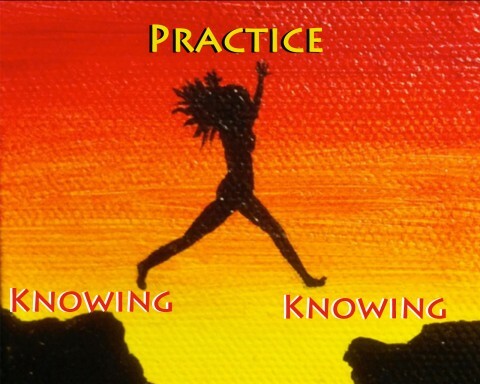 When done well, this work depends on a fair amount of reflection on practice – how do you think about what you do? What are you learning about what you do? We also train people. We help them become better facilitative leaders. We introduce specific practices – specific things people can do. Without the practice the lessons are lost. We learn by doing. I was just talking about this in our office kitchen with Danielle Coates-Connor, one of our colleagues, and she compared it to meditation. It is quite hip to talk about meditation these days. Mindfulness is in. At least in theory. People have a sense that stillness of the mind and present moment awareness are powerful ways to live and thrive. But there is a huge gap between knowing this and practicing this. Too many of us still believe that thinking about meditation is a lot like meditation. But it’s not. The same is true for our projects and our dreams. We can get the right stakeholders together. We can talk about what we want to do. We can visualize it. We can plot it out. But the learning doesn’t begin until we start. The change does not begin until we do. How to start experimenting as soon as possible? I’m loving the direction of this. And have to laugh as one of Thich Nhat Hanh’s sayings that he repeats often is “don’t just do something, sit there.” Which in fact speaks to “doing” the practice.